Today’s high-efficiency diesel engines are designed to meet the toughest standards ever required from an off-highway power plant. That engine requires the best supporting components to help meet those goals, ranging from electronics to filtration to fuel pumps. When it comes to the latter, Motor Components and its Facet brand recently released an interesting evolution in fuel pump tech, which could be used in compressors, gen sets, skid steers, excavators, telehandlers, refrigeration units, welders and many other types of compact equipment. The ECM Solid State electronic fuel pump will be in full production in the first quarter of 2019. It’s a Facet fuel pump designed to answer the call for the next generation of priming pumps to work with Tier 4 Final and Stage 5 off-highway diesels. The new design will be based on the Cube and Dura-Lift style fuel pumps but instead of the normal two wire (positive and ground) design, Motor Components has added a third wire connecting to the ECU and the ECM pump. 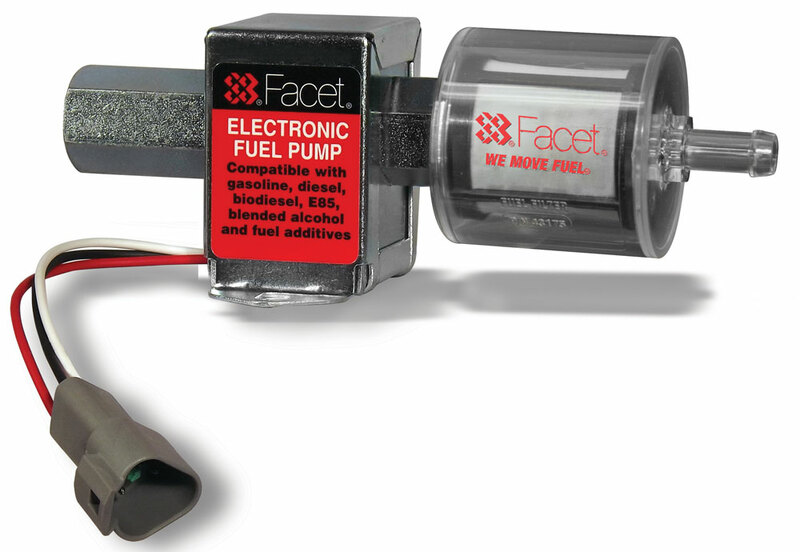 The ECM Solid State electronic fuel pump (patent pending) will communicate with the engine’s ECU at all times, allowing the ECU to control the fuel pump, maintaining the proper fuel pressure and fuel flow in all conditions. For example: If the diesel engine is at max load and requires more fuel, the ECU will trigger the ECM pump to operate faster resulting in additional fuel. This variation of fuel pump performance is not possible with normal 12- and 24-volt fuel pumps because they operate at 100 percent of their designed ratings at all times. What does all this mean? The advantages include consistent pressure and flow, lower pump operating temps and perhaps longer life. For more info, visit facet-purolator.com. Want more Tier 4 talk? Click here.